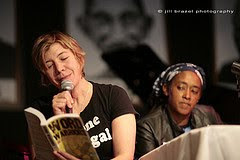 Sarah Browning Reads Lenelle Moise's "Mud Mothers"
From the January 15 Confronting Climate Debt panel at Busboys and Poets Washington D.C. (14th and V) featuring Naomi Klein, Bolivian Ambassador to the UN Pablo Solon and activist/spoken word artist Michele Roberts. Split This Rock Poetry Festival: Poems of Provocation & Witness is gearing up for our second festival March 10-13, 2010, in Washington, DC. In addition to readings, panels, workshops, and opportunities to build community across barriers this year, we also want to showcase the significant role of publishers and those who bring us the kinds of writing Split This Rock celebrates: impassioned, visionary, and truth-telling. And we want to bring the critically important work of social change groups to poets, activists, and the public. With this in mind, we're introducing a Social Change Book Fair to Split This Rock 2010. This will be an opportunity to further our mission of getting the critical work of socially engaged poets, writers, organizations, progressive presses, literary magazines, and independent newspapers the attention of our festival participants. Won't you join us? The Social Change Book Fair will take place on Saturday, March 13, 9:30 am to 4:30 pm, at the Thurgood Marshall Center for Service and Heritage (the old 12th Street Y) at 1816 12th Street, NW, Washington, DC. Split This Rock workshops and panel discussions will be taking place in the same building, ensuring plenty of foot traffic. The Book Fair will also be free and open to the general public and we will promote it widely. You can download the form from our website here. The deadline for registration is Monday, February 15, 2010. Also, we are pleased to announce that Split This Rock's "official" hotel, The Beacon, has extended the reduced rate deadline - book by February 5th to take advantage! And if you have not already done so, register for the 2010 festival to take advantage of our early-bird rates, good through February 10th. Please feel free to contact Program Associate Abdul Ali with any questions: ali at splitthisrock dot org or 202-787-5210. Tristan Silverman is trained as a documentary filmmaker, screenwriter and novelist, business owner, educator, and activist poet Tristan Silverman has become one of the top lecturers, teaching artists and performance poets for subjects ranging from gender, class and the social-political implications of branding identity. 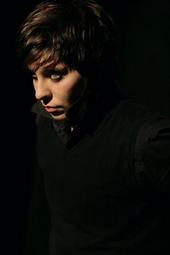 Tara Hardy, a working class queer femme poet who founded Bent, a writing institute for LGBTIQ people in Seattle, WA, holds an MFA from Vermont College. Her work focuses on class, race, sexuality, gender identity, and interpersonal violence. Split This Rock Poetry Festival: Poems of Provocation & Witness, March 10-13, 2010, invites poets, writers, artists, activists, dreamers, and all concerned world citizens to Washington, DC , for poetry, community building, and creative transformation as our country continues to grapple with two wars, a crippling economic crisis, and other social and environmental ills. The festival will feature readings, workshops, panel discussions, youth programming, film, parties, and activism -- opportunities to speak out, make common cause, imagine a way forward, and celebrate the many ways that poetry can act as an agent for social change. 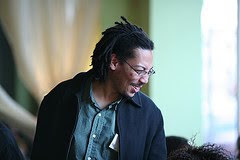 Featuring these visionary voices and many others: Chris Abani, Lillian Allen, Sinan Antoon, Francisco Aragón, Jan Beatty, Martha Collins, Cornelius Eady, Martín Espada, Andrea Gibson, Allison Hedge Coke, Natalie Illum, Fady Joudah, Toni Asante Lightfoot, Richard McCann, Jeffrey McDaniel, Lenelle Moïse, Nancy Morejón, Mark Nowak, Wang Ping, Patricia Smith, Arthur Sze, Quincy Troupe, and Bruce Weigl. Register today! Rates rise February 10. "Whenever I become discouraged (which is on alternate Tuesdays, between three and four) I lift my spirits by remembering: The artists are on our side! I mean those poets and painters, singers and musicians, novelists and playwrights who speak to the world in a way that is impervious to assault because they wage the battle for justice in a sphere which is unreachable by the dullness of ordinary political discourse." - Howard Zinn, who died today at the age of 87. Howard Zinn lifted our spirits. We lift a glass to him. Buy The Architecture of Language from our friends at Teaching for Change! Troupe will be featured at Split This Rock Poetry Festival: Poems of Provocation & Witness, March 10-13, 2010, in Washington, DC. The festival will present readings, workshops, panel discussions, youth programming, film, activism—four days of creative transformation as we imagine a way forward, hone our community and activist skills, and celebrate the many ways that poetry can act as an agent for social change. For more information: info@splitthisrock.org. This feature highlights a different photo each week from the 2008 festival. For more photos from the last festival, check out Split This Rock's Flickr. Poet Alix Olson reads from Word Warriorsas poet Theresa Davis listens. Language falls short of truth. 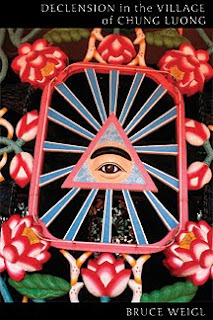 In Declension in the Village of Chung Luong, the most recent book of poems by Bruce Weigl, as the poems explore the pain of the Vietnam war and its aftermath, language cannot do what it claims to do, and words, though the medium of expression, are ever cut down as poor and flimsy representations of reality. In the poem “Poor Excuse,” Weigl writes “We try and try/ but the word can never be the thing,/ and only nothing comes… .” This nothing, these “highly suggestible nerves in fits of lonely laughter” serve as markers of identification: “I am/ open to the raw sky. I am spinning planet and solo flight. I am/ sacrifice, and poor excuse.” The highly abstract representation of the word becomes the only thing left to the speaker to claim, and in claiming identity in word images, the speaker claims nothing and tells us nothing. This realization that language cannot fully name or express fills the poems throughout Declension in the Village of Chung Luong with an aching sense that something cannot be said, and yet must be. The poems seem restless and searching. There is a longing in them to move beyond language and into truth, but their abrupt endings and emotional distance indicate that the search is painful and, perhaps, fruitless. This longing for some truth or goodness beyond language is crystallized in “The Abandonment of Beauty at Allen Memorial Hospital.” Death lies in a corner, waiting, and the medical staff do not need words to convey to the patient what is coming: “they said it with their grim countenance,/ and with the weight of their bodies in the space we shared. “ The truth, that death is coming, is lurking nearby, is not spoken “because words make you accountable.” The truth or falsehood of words requires evidence, but knowing and showing what is known through the body are proof, and so the knowledge of death’s coming is transferred to the patient, who longs for protection, for there to be a need for beauty in this stark reality. “Oh where was beauty when I needed it. “I am pulled inside the war. I am pulled inside the war. The hopelessness that marks these thoughts reflects the feelings of powerlessness on the part of the speaker, who cannot write war away, and who cannot save its victims through his words. Finally, art enters the picture, a black and white war movie that shows clearly the consequences, but “one day will be ‘lost.’” The benefits of the collective knowledge, of the voice of the veteran, and of the advocacy of art seem to be ignored in the final moments of “Le Filme.” Once again, beauty, in the form of art, fails us. Declension spans decades and continents. It is politically relevant and urgent, with poems like “The Prisoner of Ours,” and “Iraq Drifting, July 2003.” It has moments of playfulness, particularly in “How I Like It.” It pushes for connections between cultures, and mediates on moments in those cultures (“Departing Galway,” “Elegy for Biggie Smalls,” and “Say Good-Bye”). It is intensely personal, with poems like “My Uncle Rudy in Sunlight” providing a devastatingly beautiful background for the more recent tragedies the book explores. But mostly, Declension searches. It searches for justice, for truth, and for a beauty that does not fade, but remains faithful, never meaningless, never lost. Declension in the Village of Chung Luong is the subject of a poetry discussion this evening at the George Washington University, sponsored by Split This Rock and the Writer's Center. You do not need to have read the book to participate in the discussion. For details, click here. Bruce Weigl—an award-winning poet, translator of Vietnamese poetry, Vietnam War veteran, and Distinguished Professor at Lorain County Community College in Ohio—will be a featured poet at the 2010 Split This Rock Poetry Festival. Declension in the Village of Chung Luong is his 13th book of poetry. A review copy of Declension in the Village of Chung Luong was provided by Copper Canyon Press. You can purchase the book at Copper Canyon Press for $14.00. 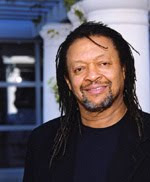 Lightfoot will be featured at Split This Rock Poetry Festival: Poems of Provocation & Witness, March 10-13, 2010, in Washington, DC. The festival will present readings, workshops, panel discussions, youth programming, film, activism—four days of creative transformation as we imagine a way forward, hone our community and activist skills, and celebrate the many ways that poetry can act as an agent for social change. For more information: info@splitthisrock.org. Come out to Split This Rock and the Writer's Center's discussion of Declension in the Village of Chung Luong tomorrow at 7:15 pm at The George Washington University, Rome Hall, Room 351. No advance reading is necessary. The discussion will focus on invidual poems, copies of which will be provided. If you'd like to buy the book, copies will be available for purc...hase at the event, or in advance for $14 at The Writer's Center and Busboys and Poets bookstore. The following are opening remarks by Split This Rock Co-Director Sarah Browning at Poetry & Possibility, the benefit party held for Split This Rock at the home of board member Micheline Klagsbrun Monday, January 18, 2010. Thank you all for coming and for your support of Split This Rock. Two things happened this week that reminded me of the critical importance of poetry in our Balloon Boy’d world: First, we helped organize a memorial event at Busboys and Poets for the rebel South African poet Dennis Brutus, who had died at the end of December. Dennis had been featured at the first Split This Rock Poetry Festival in March 2008 and he was the conscience of the festival, telling us that of all of us there, he was probably the only one who’d spent any substantial amount of time splitting actual, and not just metaphorical, rocks – which he did while imprisoned on Robben Island in the early 1960s with Nelson Mandela. But then, just two days later, came the news of the devastating earthquake in Haiti. And we are faced again with the unimaginable suffering of millions of people and with our own sense of helplessness. Of course we’ve all been giving what we can for immediate and essential relief efforts. But this week as we saw wave after wave of images of suffering Haitians, it seemed essential to remember, as always, that the people of Haiti are not only victims, though they are, of course – of this disaster and of centuries of oppressive US foreign policy – they also are a people with a long and proud history, a rich culture. Poetry reminds us of the full humanity of others. Thousands of people read the poem – on our blog, on Facebook, on list servs and web sites. Split This Rock brings essential voices such as Lenelle’s to a broad, diverse public hungry for authentic voices. It supports and encourages the poets who write poems that look directly at our world and struggle to understand, to bridge differences, to imagine other possibilities. We organize local programs and events, including readings and discussion series – and youth programs, including an annual contest for DC youth, The World & Me, and programs in schools and community settings. And of course the capstone of our programs is the biannual poetry festival, the second of which is coming up very soon, March 10-13. Voices of dissent, beauty, imagination, and vision will be featured for four days of readings, workshops, discussions, open mics, a film program, and an opportunity for all who gather to speak out for a more just ordering of our nation’s priorities. I hope you’ll join us. Of course, all of this work costs money and so we are very grateful for your support. We are still so young. If you know of others who would like to hear about Split This Rock, please let us know and we will contact them. There are festival sponsorship opportunities for businesses and organizations, too. Please see me after the program for more information. Thank you. 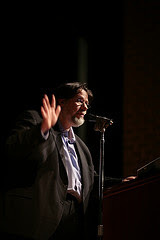 2008 and 2010 Featured Poet Martín Espada reads at the 2008 Festival. Split This Rock's new intern, Scott Zimmerman, contributed this post. Enjoy Scott's reflections on Somehow Tenderness Survives: Remembering Dennis Brutus and welcome him to the Split This Rock team. This past week has thus far been an amazing first step in what will be a wonderful two and a half month journey in D.C. Little more than seven days ago I boarded a plane from a familiar 75-degree Southern California and landed in the midst of a frigid East coast winter. From the time of my arrival I have been absorbing the many different facets of D.C. So far the city has reached a point of personal familiarity, but yet there lies level a culture almost foreign to me. Diving head first into a new urban lifestyle, I find myself welcomed as the newest intern at Split This Rock Poetry Festival. The program, which greeted me with open arms, is already a place I may call a home away from home. Last Sunday (Jan. 10th), I found myself in awe, listening to the tales of a captivating poet, an enduring activist, and an inspirational leader, a man by the name of Dennis Brutus. Personal accounts of Mr. Brutus’ closest friends and acquaintances were joyfully shared with me by a lovely memorial event at local restaurant and cultural gathering place, Busboys and Poets. First arriving to the event, I had little to no knowledge of what a powerful person Dennis was and continues to be. The evening progressed with an exciting line-up: poetry, engaging chants, and testaments of an enthralling man who lived courageously, and we left admiring Mr. Brutus. I have heard the tales of activists, poets, and even teachers, but never have I heard the story of man influencing so many people in all three areas. Though I feel wronged for not knowing Dennis Brutus personally, I am thankful for now learning about him. 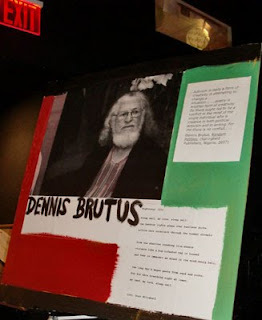 The thoughtful anecdotes and the words of Mr. Brutus’ poetry spoken throughout the evening helped me piece together a portrait of Dennis Brutus. I saw the image of a tall slender framed man who spoke compassionately of the world injustices. Dennis was as wiry in character as his beard that adorned his face. The empowering lyrical mantras and songs of global and South African activism was spot on, as the room packed with more than one hundred people chanted a powerful saying: Keep the oil in the soil, Keep the coal in the hole, and keep the tar sand in the land! In keeping with the mood of the event, an insightful 50-minute film by Vincent Moloi, fittingly named “I am a Rebel,” was screened by one of Mr. Brutus’ dear friends, Patrick Bond. The documentary of Dennis’s life helped solidify the passionate words spoken earlier throughout the evening. Words reverberated around the D.C. and back to South Africa during the tribute, originated by Split This Rock and Busboys and Poets, as well as other organizations. The tribute appropriately honored a tall poet with a slight frame. To define is to limit, and I do not wish to put such an injustice on a man like Dennis Brutus. He touched the hearts of many and each heart has a voice of their own. and songs that sing you home. Scott Zimmerman is presently interning for the Institute of Policy Studies under Split This Rock Poetry Festival. He is pursuing his BA in International Sociology and an AA in Film and Media at the University of California Irvine. Scott is currently working through UCDC, a program that allows students to experience D.C. and intern at a local organization, which appeals to their interests. He has been an active leader in Global Connect, which utilizes college students in teaching local high schools on the importance of global issues. In late March, Scott will be working with local communities in Honduras, through the Public Health Brigade. As a token of gratitude for your gift, Split This Rock will give all donors of $100 or more a copy of A Question of Freedom: A Memoir of Learning, Survival, and Coming of Age in Prison,by R. Dwayne Betts. 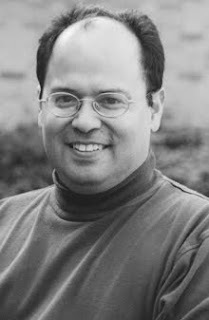 The following is an excerpt from an announcement from University of Notre Dame regarding 2010 Split This Rock Featured Poet Francisco Aragón. To read the full announcement, click here. 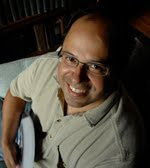 Francisco Aragón, director of Letras Latinas, the literary program of the University of Notre Dame’s Institute for Latino Studies (ILS), has been selected to receive the Outstanding Latino/a Cultural Arts, Literary Arts and Publications Award given by the American Association of Hispanics in Higher Education (AAHHE). Aragón will receive the award in March during the association’s national conference in Costa Mesa, Calif. The award recognizes Latinos who have contributed significantly to increasing understanding of the Hispanic community and/or culture through literary arts, scholarship and publications. The following is an excerpt from a blog post by Lenelle Moise, a 2010 Featured Poet at the Split This Rock Poetry Festival. Click here to read the full post. Nearly 30 years ago, I was born in Port-au-Prince, the nation's capital; in General Hospital, one of the many buildings this terrible earthquake has destroyed. Many Haitian friends are writing to me, calling for comfort and prayers. They cannot find or connect with their loved ones on the island. They are at wit's end. My own grandparents live down the road from the partially collapsed National Palace. We have not heard from them. We wait, horrified. Thousands have died. Millions are displaced, injured, traumatized and wailing. Haiti needs our collective cri de coeur, our respect, our love, our magic and our energy. Haiti needs immediate international support. The following are Lenelle's suggested ways to help. If you have not already done so, I encourage you to text YELE to 501501 to donate $5 to musician Wyclef Jean's earthquake relief effort. Yele is an effective grassroots organization that brought fast, direct assistance to the people during Haiti's recent hurricane/flooding crises. For those who can give more, journalist Rachel Maddow has compiled a list of links. Medical professionals can call 212-697-9767 to volunteer. 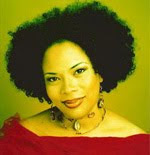 To read Lenelle's poem "Mud Mothers," our November 25, 2009 poem of the week, click here. Please circulate the poem and Lenelle's blog post. "It's fake but tastes okay. The real is gone, like snowcaps." In the glass cage of illusion? "Sister, please find me a rich husband in America." 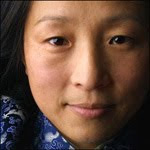 Wang Ping will be featured at Split This Rock Poetry Festival: Poems of Provocation & Witness, March 10-13, 2010, in Washington, DC. The festival will present readings, workshops, panel discussions, youth programming, film, activism-four days of creative transformation as we imagine a way forward, hone our community and activist skills, and celebrate the many ways that poetry can act as an agent for social change. For more information: info@splitthisrock.org. Aragón will be featured at Split This Rok Poetry Festival: Poems of Provocation & Witness, March 10-13, 2010, in Washington, DC. The festival will present readings, workshops, panel discussions, youth programming, film, activism-four days of creative transformation as we imagine a way forward, hone our community and activist skills, and celebrate the many ways that poetry can act as an agent for social change. For more information: info@splitthisrock.org. The following is an excerpt from Karren Alenier's blog discussing the Dennis Brutus event last Sunday. To read the full article and see more pictures of the event, click here. The occasion of the Dresser meeting the venerable Brutus was the 2008 Split This Rock poetry conference. As a keynote speaker, Dennis Brutus viscerally made real what conference organizer Sarah Browning meant by naming her conference Split This Rock. What was especially moving to the Dresser was how such a modest and giving person could stand and suffer great hardship in the name of social justice and good common sense. Without hearing him speak, the Dresser would not have attended the LaFayette rally that crisp Sunday in March. The Dresser told those assembled that she was inspired to speak because of what Dennis Brutus said at the Split This Rock conference and she saw that Mr. Brutus who was standing in front of the crowd was moved by that confession. Afterwards, she spoke with him face to face and he embraced her. He said he was hoping people would be moved to action. Abdul Ali is an alumn of Howard University where he edited The Amistad and became a writer. Since then, he has organized readings, exhibits, radio programming, and most recently joined the staff of Split This Rock Poetry Festival. He resides in Ward 6 but used to live in Ward 1. "Poems are all about breath. The breath will take care of form." Danielle Evennou is the recipient of a 2010 Young Emerging Artist Grant from the DC Commission on the Arts and Humanities. She is board president of the DC women's spokenword organization, mothertongue, coordinating/hosting regular spokenword events and projects. She also serves as a co-host for Sparkle: a queer-driven reading series for all, at Busboys & Poets 5th & K. Danielle was a featured reader at Queering Sound 2009, Capital Pride 2009, and Poetic Situations, as well as at Sparkle. Adam Pellegrini is currently working on an MFA in poetry at the University of Maryland, College Park. He's lived in DC for the past year and a half with his beautiful girlfriend. 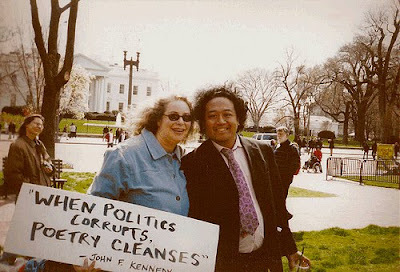 His poetry has recently been published in the new anthology Full Moon on K Street: Poems About Washington, DC. Adam is also the co-editor of Cartographer Electric, an online journal of poetry and fiction. Sunday Kind of Love takes place the 3rd Sunday of every month in the Langston Room at Busboys and Poets' 14th & V location. The series is co-hosted by Sarah Browning and Katy Richey and co-sponsored by Busboys and Poets and Split This Rock. As always, bring a poem for the open mic! For more information: browning at splitthisrock dot org. 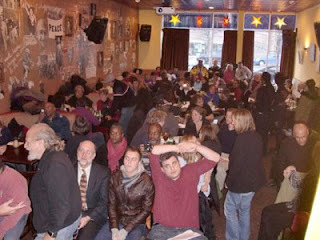 Abdul Ali, Split This Rock Program Associate, at the 2008 opening ceremony in Busboys and Poets. Abdul will be reading at Sunday Kind of Love this Sunday, January 17. Causes: Washington Area Clinic Defense Task Force: The Washington Area Clinic Defense Task Force is an all-volunteer, non-violent group founded in the 1980s to promote peaceful and safe access to women's health clinics in the Washington, DC metropolitan area. I have been lucky enough to work with them for 5 years, and it has been both challenging and rewarding work. Visions in Feminism: Visions in Feminism is a local conference held annually in the DC area since 2001. Each year Visions in Feminism seeks to provide a forum for diverse perspectives on feminist praxis. Last year I taught at the conference, and this year I am lucky enough to be on the collective that is putting it together. Personal website: My podcast ‘Fully Engaged Feminism’ is now 1 year old!! A favorite poem or poet: There are too many poets & poems to single out as ‘the one best’ but time and again I turn to the writings of Marge Piercy. I really love her poem ‘For Strong Women’ from The Moon is Always Female. Free and open to the public. Rome Hall is wheelchair-accessible. Declension is available for purchase for $14 at The Writer’s Center and Busboys and Poets. Critical Exposure teaches youth to use the power of photography and their own voices to become effective advocates for school reform and social change. The organization was founded in 2004 by a former educator and an education policy analyst in response to the drastic disparities that exist among public schools. By empowering young people to develop skills as documentary photographers and advocates, we expose citizens and policymakers to the realities of our current two-tiered education system as seen through the eyes of the students who confront those realities each day. Through this approach Critical Exposure works to secure policy changes in order to ensure that all children have access to an excellent, equitable public education, fulfilling this nation's promise of providing all children with an opportunity to succeed. Critical Exposure will have a presence at Split This Rock's upcoming benefit party featuring Dwayne Betts and the DC Youth Slam Team. The party is January 18, and donations of $100-1000 are accepted. For more information and to RSVP, contact ali at splitthisrock dot org. To see some of Critical Exposure's galleries, click here. Head over to Foreign Policy in Focus to read "Stone Hammered to Gravel" a poem by Martín Espada, a featured poet at the 2008 and 2010 Split This Rock poetry festivals, for poet Dennis Brutus, who died at age 85 on December 26, on the occasion of his 80th birthday. 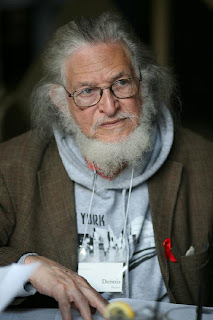 Please join Busboys and Poets, Split This Rock, TransAfrica Forum, Africa Action, Foreign Policy in Focus/Institute for Policy Studies, and Haymarket Books as we celebrate the life and work of South African poet and pioneer for justice Dennis Brutus (1924-2009). Featuring poetry and remembrances by poets Kenny Carroll, Elen Awalom, Holly Bass, and Sarah Browning, Sameer Dossani, former director of 50 Years is Enough, Zahara Heckscher, Emira Woods of Foreign Policy in Focus, Neil Watkins of Jubilee USA Network, Dave Zirin, author of What's My Name, Fool? Sports and Resistance in the United States, and others. Audience members will also have an opportunity to offer their memories or to read a favorite poem by Dennis Brutus. Program to be followed by a screening of I Am a Rebel, a 50-minute documentary of Brutus' life by the South African filmmaker Vincent Moloi. A world-renowned political organizer and one of Africa's most celebrated poets, Brutus was a life-long champion of peace and social justice. As an early opponent of Apartheid in South Africa, he spent years in prison on Robben Island with Nelson Mandela. Upon his release and exile, Brutus successfully organized an international sports boycott of South Africa. Among his many books are Poetry & Protest: A Dennis Brutus Reader (Haymarket Books, 2006). 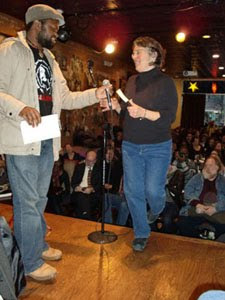 Kim Roberts, editor of Beltway Quarterly, celebrating 10 years, and Regie Cabico, Split This Rock Youth Educator, at the Sunday March at the 2008 festival. The following is excerpted from a Foreign Policy in Focus article on The Art of Extraction event in November. Read the full article here. It's a vision of heaven and hell worthy of a medieval painter. Indeed, with their monumental black-and-white works, the Collective has updated the art of the triptych. Like Hieronymus Bosch's The Garden of Earthly Delights, the coal graphic is crammed with imagery that requires careful scrutiny and an accompanying guide to decode the symbolic content. It offers a three-part narrative of paradise, temptation, and damnation. And it is infused with a moral fervor that confronts the viewer with stark choices about how to live one's life. For more information on Mark Nowak, check out his blog, Coal Mountain. 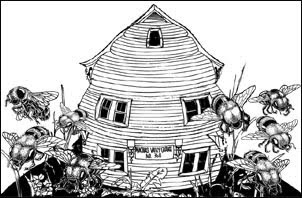 For more information on The Beehive Collective, check out their website, BeehiveCollective.org. 2010 Adult Poetry Contest Deadline Extended to January 22! Split This Rock has extended the deadline for our third annual poetry contest, to be judged by Chris Abani, one of the 2010 festival's featured poets. 2nd and 3rd place, $250 each. Winning poems will be published on SplitThisRock.org, and the 1st-place winner will be invited to read the winning poem at Split This Rock Poetry Festival in March 2010. We're excited to announce that the winning poem will also be published in Potomac Review. NEW Deadline: January 22, 2010. Beltway Poetry Quarterly Celebrates Ten Years of Publication! Beltway's newest issue features poems and reminiscences from the 15 talented people who have generously served as guest editors since the journal's founding: Merrill Leffler, Brian Gilmore, 2008 Split This Rock Featured Poet, Hilary Tham, Saundra Rose Maley, Grace Cavalieri, 2008 Split This Rock Featured Poet, Naomi Ayala, 2008 Split This Rock Featured Poet, Sarah Browning, Split This Rock Co-Director, Andrea Carter Brown, Kwame Alexander, Teri Ellen Cross, Split This Rock advisory board member, Regie Cabico, Split This Rock core leader, Katie Davis , Maureen Thorson, Toni Asante Lightfoot, 2010 Split This Rock Featured Poet, and Dan Vera, key Split This Rock activist. 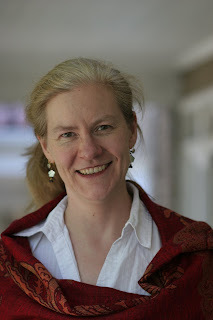 Editor Kim Roberts is also a member of the Split This Rock advisory board.